It is quite inspirational reading brides real life planning stories. From their romantic engagement stories to their search for the perfect bridesmaid dress all the way down to their plans for their fabulous honeymoon. I love hearing about it all. We just wanted to make sure that you stop by The Wedding Chicks Real Bridal Blogger section and see what they are up to. One of our favorite bloggers , The KnottyBride, who also just recently became a guest blogger over at Style Me Pretty , who always inspires us with her fabulous finds. Congratulations to Alison, The Knotty Bride. 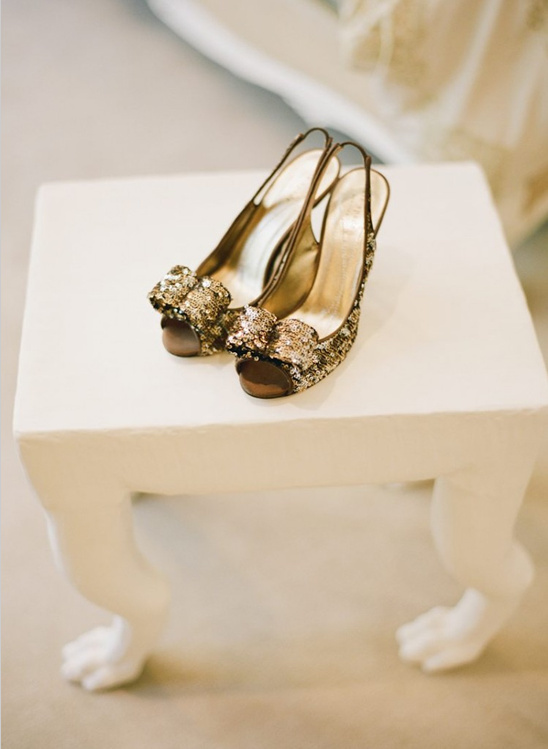 Gold Wedding Shoes Taken By: Gia Canali Photography . Young Hollywood Photo via Vanity Fair.